This is... like, some briefing page or something or other. 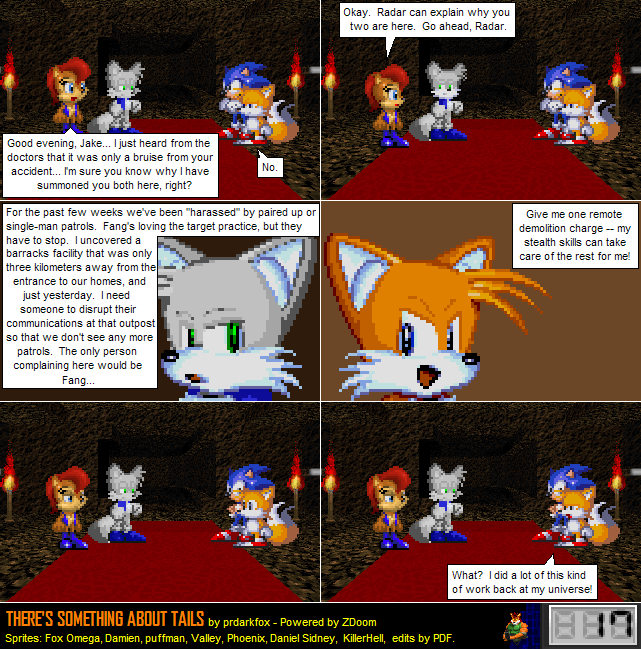 You may have noticed a much sexier blue fox sprite on page 6. This is that guy, who was supposed to be -- at first -- a sprite extra until he became much more useful, and at the worst time. I also do not read these earliest comics anymore, so that I can spare myself some of the embarrassment.